Liverpool have agreed to sign Germany under-21 international midfielder Emre Can from Bayer Leverkusen for 12 million euros. The Premier League runners-up confirmed via a statement on their official website that they had agreed personal terms with the 20-year-old after making a bid that activated the release clause in his contract at the BayArena and will complete the move, subject to documentation. Can will become manager Brendan Rodgers' second signing of the summer and will join Rickie Lambert, the other new recruit, at Anfield next season. 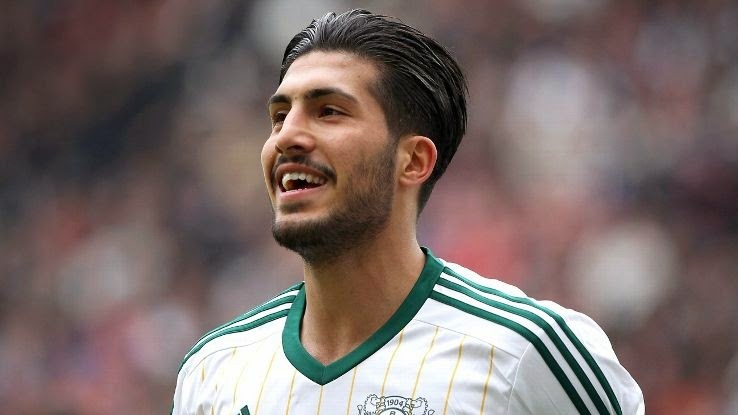 Leverkusen chief executive Michael Schade said on the club's official website: "Emre Can has developed very quickly and positively in the past 12 months at Bayer 04 Leverkusen. We would like to keep Emre at Leverkusen, but the fact is he has a get-out clause in his contract. Therefore, we wish him well in his further development in the Premier League." The versatile Can is able to operate as a holding midfielder and a left-back, two positions where Rodgers was looking to strengthen. He scored four goals in 39 games for Leverkusen after joining them from Bayern Munich last summer and helped Bayer finish fourth in the Bundesliga. While he is qualified to play for Turkey, Can has represented Germany at every youth level. Liverpool have also posted a 25 million pound offer for Southampton captain Adam Lallana and are interested in Sevilla left-back Alberto Moreno.